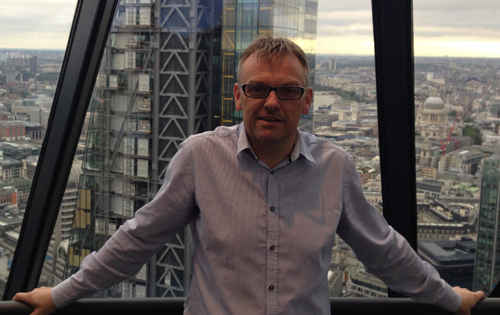 Presenting at the Gherkin in London and spending time with journalists in the Shard last week, announcing the imminent launch of Sage One Accounts Extra – are two of the proudest moments in my career. The journey to this point had started 18 months before when I moved to the North East (to Sage’s HQ in Newcastle) to take on the challenge of being Product Manager for Sage One Accounts and in particular, their next generation of accounting services. Product Management has such a wide diversity of work streams, ranging from working with the development teams, listening and responding to customers, making sure the internal operations, sales and marketing and the services teams have what they need. That is why I love my role – I get to work with the most talented people right across the business. The Sage One team, during this 18 month period, has managed to build a global development and delivery platform so that we, with all of our sister businesses across the globe, can all pull in the same direction and share technologies and innovation. It was on this platform we have built Sage One Accounts Extra and incorporated our existing Sage One Cashbook, Sage One Accounts and Sage One Payroll services in the UK and Ireland. We have built an online accounting service which is one of the best on the market both in terms of functionally and its look and feel. It has the heritage and brains of Sage behind it, incorporating new technologies and innovation. The new Sage One Accounts Extra service is very comprehensive, everything you would expect from Sage. There are some very cool features to enable users to look into the future whilst also collaborating with their colleagues, managing multiple business and currencies. Sage One has configurable views and an analysis dimension enabling customers to identify what is working well and not so well in their business. (Read more about the features and functionality in Sage One Accounts Extra). 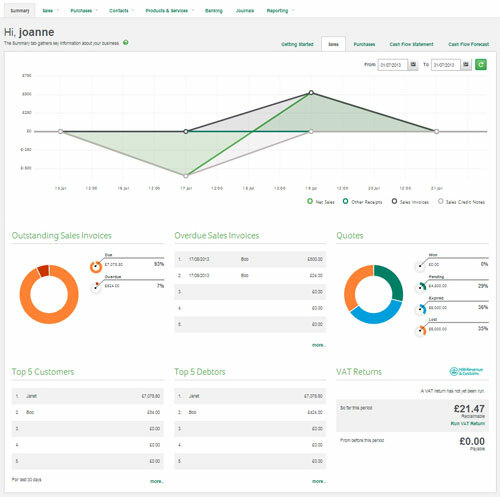 Screenshot of Sales Summary in Sage One Accounts Extra As you can probably tell, I am very enthusiastic about this new release, we have had great feedback from our closed beta and I cannot wait to see what our API, accountant and business partners make of it! To find out more about our exciting new service, and to sign up for a free 30 day trial, take a look at our Sage One Accounts Extra page.